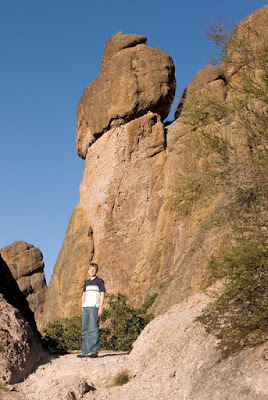 Continuing our exploration of California parks, this week Billy, Kim and I went to Pinnacles National Monument. This was one of the best hikes I have been on recently. We did a quick 2.5 hour loop which took us to the peak giving a fantastic view along the way. I have several pictures from the hike that I will process and post in the California gallery. This picture was taken on our ascent. The trail zig-zags back and forth to the summit. Technical Specs: Canon 20D, 17-40 @ 40mm, f/8, 1/320s, ISO 100.